Everyone!! I know that I’ve been a crappy blogger for the past two weeks….BUT! I have a job! …And I’m super sad to say that they don’t allow nail polish at Starbucks. So…I will only be able to do an actual mani when I have several days off in a row. However, I’ve started painting nail sets so I’ll be posting those and their Etsy links. I will also be doing some make-up reviews because I am going to be receiving Ipsy bags! For those who don’t know, Ipsy is a $10 monthly subscription where they send you 4-5 deluxe sized to regular sized make-up produce once a month. More often than not, the value of the contents far exceed the cost of the subscription. So. There won’t be as many nail mani’s, but there will be nail set posts and make-up reviews. You won’t lose me, you won’t die ( ;) ) but there will be a little less of me. Thank you all who read this and I hope you all enjoy what’s to come! Much love! Oh. My. Goodness. This day has almost killed me. Now, don’t get me wrong, I like the color green. But after redoing my nails three, yes, THREE times and hating them all? Yea…ya kinda start to hate it. So. Here is Day 4 - Green Nails. Pure Ice’s “Free Spirit” and some white acrylic paint. So for anyone who doesn’t know about them, Jamberry nails are HOT! You’re probably familiar with the idea of them but these are so much better than any other stick on nail decals. 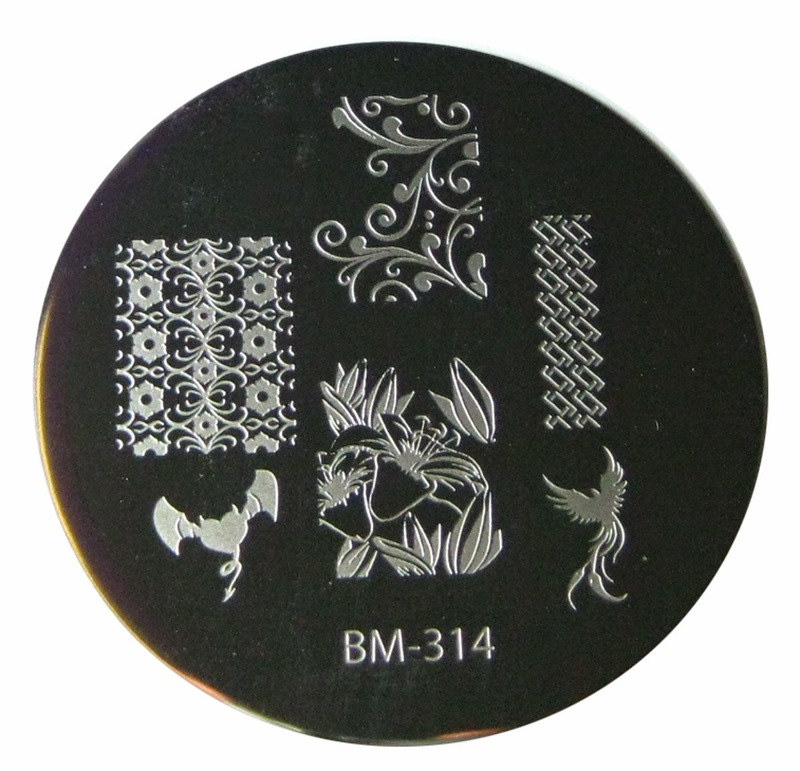 These stickers have way less chemicals, they’re cost effective, fast and they last! Check out this pic! So they’re less harmful to nails by a lot. Now for the costs. It's about $15 per sheet but there's a deal where you can get 4 sheets for the price of 3! Now check out how many mani's you can get out of them and for how much! Now for me, I normally do my own nails but these are really great for a day or for a week that you know you’re going to be super busy and won’t have time to actually paint your nails. It takes about 15 minutes to apply everything with Jamberries. It takes 15 minutes to do the first couple coats of base and color with polish. That’s a lot of time saved PLUS, you don’t have to worry about knicking or dinging a nail and have to either deal with the defective nail or re-do it. Which takes even more time. For this mani, I used China Glaze’s “For Audrey”, Sally Hansen’s “250 Lightening” and Orly’s “Dazzle”. As well as a plain black acrylic paint. Pretty much took this opportunity to just do whatever to my nails and I liked most of them except my pinky. Jamberry wrap on pointer finger is called Teal Mini Polka! 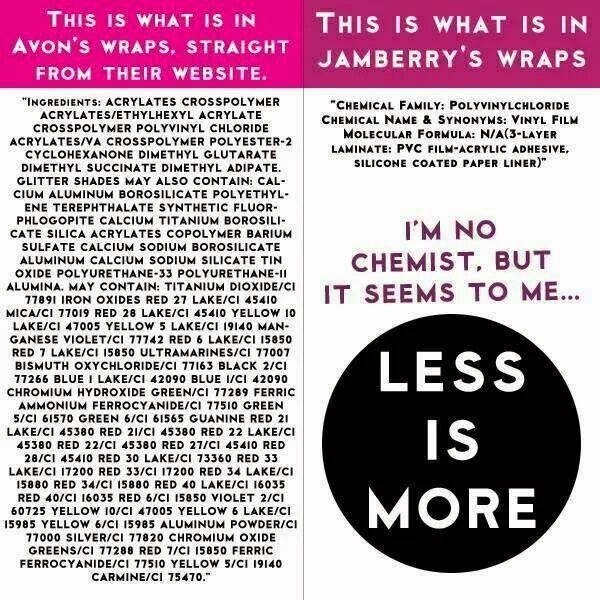 So look at how well the Jams stayed on verses nail polish. SUPER WELL!! I don’t pick at my nails at all so this just just chipping from every day activities such as showering, washing dishes, cleaning building and whatever else you do in a day. And yes, there is some wear on the Jam nail but it's so minimal verse all the other nails. They’re very worth it and there are soooo many cute designs! So check ‘em out and lemme know how you like them! I feel slightly..sheepish(?) about where my idea came from but slightly amused by it as well. So, base color is Sally Hansen’s “250 Lightening” and a mixture of Savvy’s “Golden Honey” and an unnamed brown that’s a decade old with Bundle Monster’s plate 314. It’s the closest I could get to the design and I kinda like it. And I don't really care for yellow...but I do like this. I made this using Adobe Photoshop Elements 9 with three different brushes. And I really like it! I have a few other backgrounds so I might change it again just to see what I like and then stick with one. What do y’all think? Love it? Hate it? What would you change? I’d love to hear some feed back! Alrighty ladies. I could have sworn that this color was going to be the death of me because I couldn't think of anything good for two days! Then I did them last night and...I like them. Alot. Right about now is the time when the leaves start changing to the reds and orange and it all has such a beautiful orange hue to them so naturally, this was my inspiration! I so love fall and this was a good mani for me to do. I used Sally Hansen's "250 Lightening", SH's "Orange Impulse" and Revlon's "730 Valentine" for the base gradient. Then I used plain ol' black acrylic paint to draw the leaves on. Seche Vite to top it off with. Like I said, it took forever to figure out what to do, but this is def one I like! First day of the 31DC2014. Colors. Red Nails. 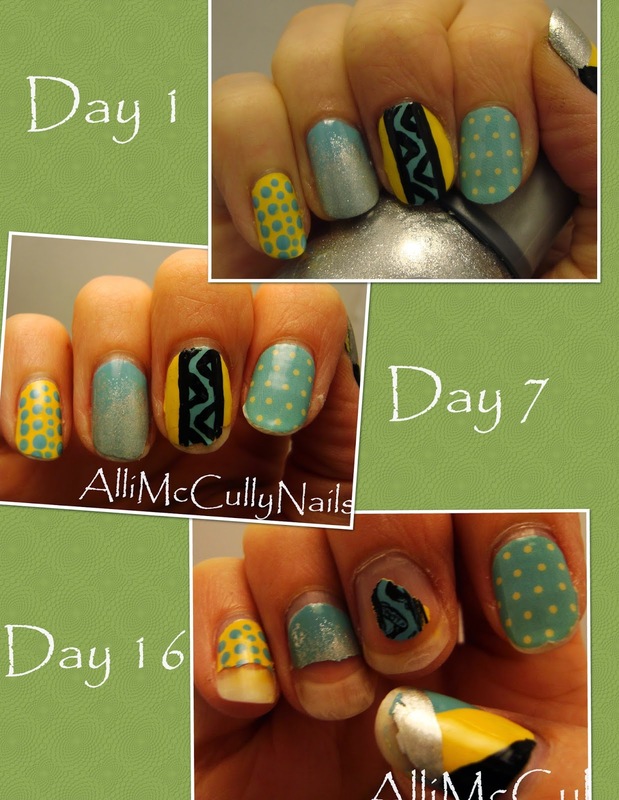 First off…It’s been like a long time since my last freehand mani. And I had coffee that day.That being said, I was a little disappointed with how this one turned out. I could have redone it but I felt that it would just been cheating almost and good to post it as motivation to do better. The base coat is Revlon’s “730 Valentine” which I have swatched before here. 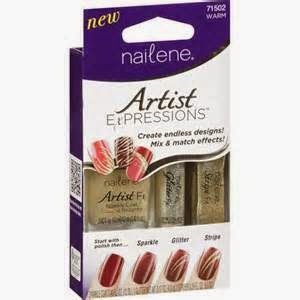 For the gold lines and the glittery color, I used Nailene’s Artist Expressions Warm. In this kit is a clear, glittery polish that’s almost holographic, a gold stripper brush and a small tube of loose gold glitter. I got this years ago from my grandparents and this is the first time I’ve really used it. This isn't the correct color.. But I used the stripper first and then filled in with two coats of the shimmer color making the red underneath look like it’s a totally different color. I liked the effect and I’ll definitely have to use it again. Day 1 Complete! Good – 0, Meh – 1.